The book is full of ways to make owning a dog easier and more fulfilling for the whole family. 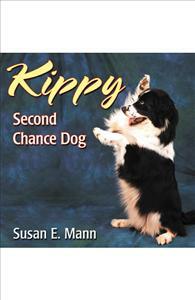 Kippy: Second Chance Dog is a book for the whole family- any family that is getting a dog or a puppy! Part story, and part training manual, it follows a family from the time they go to the shelter to select a dog, through bringing the dog home, through the trouble she gets into, and what she – and her human family- learn along the way until she graduates from school. The book is full of ways to make owning a dog easier and more fulfilling for the whole family. Our family was ready to get our first dog and I had so many questions. The book answered so many of our questions.It was a great read for the kids and they learned so much. I would highly recommend it to any family that is getting a dog, has a dog or just wants to learn (or have their children learn) more about having a dog.